Designed & Engineered By Casa Vacuums in the U.S.A !!. 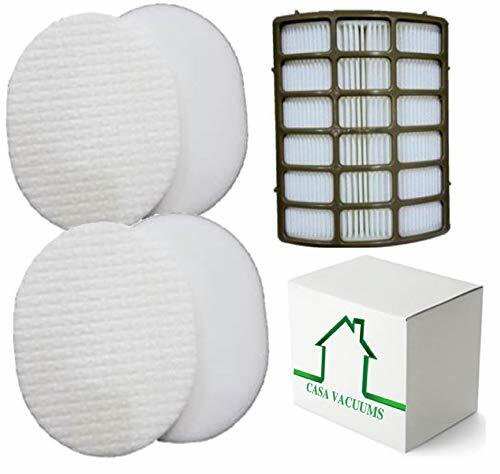 2 (60 PPI) Foam Filters ➕ 2 ULTRA-THICK Felt Filters. Shark NV80 Navigator vacuum cleaners use several types of filters, all of which need to be replaced every 3 to 6 months as part of routine vacuum maintenance. These are generic replacement parts for OEM part numbers XFF80 and XHF80, and are designed using high quality materials that meet OEM standards at a better value than the manufacturer's cost. Product includes one HEPA style filter, two foam filters, and two felt filters for Shark Navigator NV80 vacuum cleaners.